Thousands patients were inconvenienced by the doctors token strike yesterday. Director of the National Hospital (NHSL), Dr Anil Jasinghe said the OPD was not functioning though emergency admissions were carried out. The scheduled clinics had been cancelled. The NHSL attended to approximately 3,000 to 4,000 clinic patients daily. Routine surgeries had been cancelled. However the ICU and wards and fever patients were being attended to. All emergency services were maintained, he added. The Director of the Anuradhapura Teaching hospital was on leave and our efforts to contact his two Deputy Directors were in vain. However, sources said the doctors’ strike had crippled the hospital. The Jaffna, Kurunegala and Kandy Teaching Hospitals were also affected by the strike. Medical Superintendent of the Trincomalee General Hospital (TGH), Dr Mrs. Raj Mohan, contacted for comment, said that though the OPD and clinical services had been affected steps had been taken to treat patients. She said doctors were working around the clock owing to a dengue outbreak in the District. 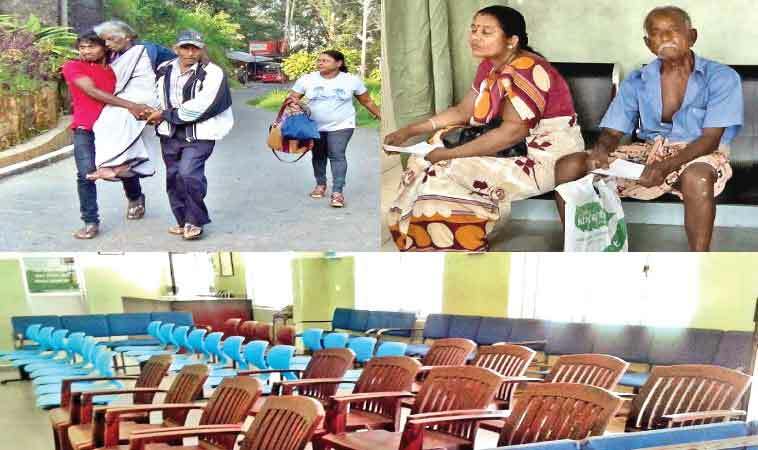 Director Sri Jayawardenepura General Hospital (SJGH), Dr Susith Senaratne said that although OPD services and routine surgeries had been affected by the strike, Doctors were attending to fever patients; Paediatric and Obstetrics clinics were held and emergencies were attended to. Meanwhile, the Government Medical Officers Association (GMOA) threatened to resort to a a continuous with the help of other professional association if the authorities remained unmoved by yesterday’s trade union action. The GMOA in collaboration with other trade unions, political parties and organisations staged a march in Colombo asking the government to take over the South Asian Institute of Technology and Medicine (SAITM).